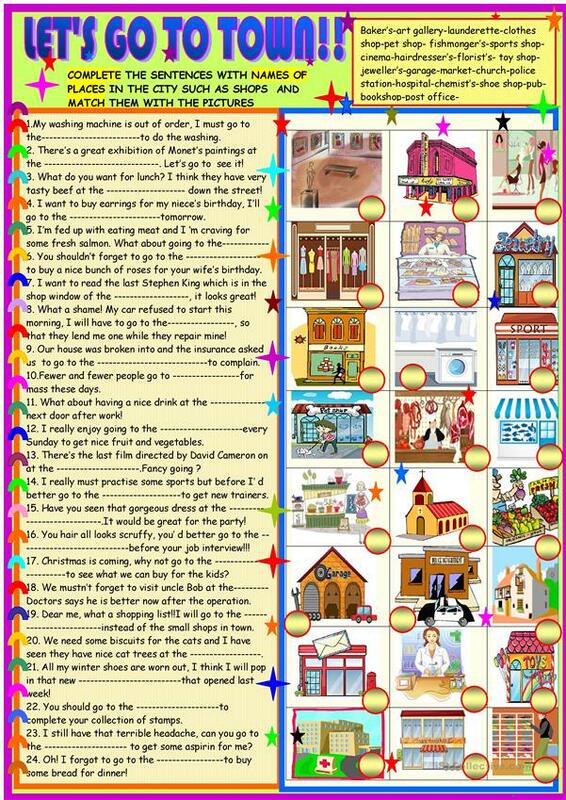 The last worksheets to work on vocabulary to learn or revise words related to places in the city, church, street shops. Here students have to find the name of the place corresponding to the definition, then match the sentences to the pictures. This downloadable worksheet is best suited for high school students, elementary school students, adults and students with special educational needs, learning difficulties, e.g. dyslexia at Elementary (A1) and Pre-intermediate (A2) level. It can be used for developing your students' Spelling, Speaking, Reading and Writing skills. It focuses on the theme of City.